Circle Track Magazine, the #1 Source for Advanced Racing Technology, announced today that it has renewed its personal services agreement with ARCA Racing Series driver Will Kimmel. Kimmel, the third generation racer from Sellersburg, Indiana will represent the Tampa, Florida based publication for the 2014 season. Kimmel and Circle Track, the largest short track racing media platform in the country enjoyed a successful year together that saw the 25 year old finish 8th in the ARCA Series points standings while competing in a handful of Street Stock races at his home track of Salem Speedway. With a solid relationship built, they plan on expanding their activities in 2014 with a brand new project. Upon hearing of the idea Fisher thought it that it would make an excellent platform for a Circle Track project car. So, working with Kimmel’s Indiana based team and veteran North Carolina car builder Billy Hess, the trio set out to build what was aptly dubbed Project SLM. The car debuted to a great deal of interest at the 2013 Performance Racing Industry trade show in Indianapolis. But this car isn’t just going to be a showpiece. A heavy testing schedule is planned for the car to dial in the rather unconventional setup. Once complete Fisher and Kimmel plan on campaigning the car at five marquee Super Late Model races in 2014 including the Winchester 400 and the Snowball Derby. “At Circle Track we build cars, we test cars and we race cars, so it is only natural that we put this latest project into competition at the highest level,” said Fisher. Beyond the track, Kimmel will also be featured in both promotional videos and technical articles as well as acting as a spokesman for the 30 year old publication. Many of those articles will focus on Project SLM. For the last thirty years, Circle Track magazine has taken the most complex technical subjects and theories and put them in practical terms for racers of all levels. It is the proven source for dirt and asphalt Saturday-night racers to obtain the latest in racing technology and how to apply it. If it has an engine and somebody races it, Circle Track speaks to that consumer, with an emphasis on expert-level car construction, engine building and tuning, safety equipment use, chassis tuning, and racing technique. Reaching more than 200,000 racers through its print publication and comprehensive website, Circle Track is the largest motorsports publication in the country. Will Kimmel, the son Bill Kimmel and nephew of 10-time ARCA Champ Frank Kimmel, has earned an impressive 13 track championships and over 90 career wins. He became the first rookie driver to ever win a feature event in his first Super Late Model start at the notoriously difficult Salem Speedway. That same year he became the youngest driver to ever win the Salem Speedway Super Late Model Championship at only 19 years old. Two years ago he started 21st and finished 3rd in his debut run in the ARCA 200 at Daytona International Speedway. Last year he was running 5th in the same race when a flat tire ruined his day. Michael Lira has a lot to be excited about in 2014. In addition to continuing his studies in the International Baccalaureate Program at Spruce Creek High School in Port Orange, Florida, and defending his No. 1 state ranking in trombone competition,the talented 16-year-old stock car racer plans to run 14 races in the ARCA Racing Series presented by Menards with Kimmel Racing. Lira has been busy in the last month preparing for the upcoming season. When the ARCA Racing Series held a weekend of testing sessions at Daytona International Speedway, Lira was granted special permission to participate. Lira has also been busy working to secure additional sponsorship for the upcoming season. The young racer is looking to “get out the vote” as he seeks a spot on “Team Champion” in Champion Spark Plugs’ “Search for a Champion.” Internet voting is open at alwaysachampion.com now through February 2 and fans of the Florida driver can help him reach the next level in his career. Lira will drive the No. 69 Ford Fusion for Kimmel Racing for the 2014 season, with Gary Yeomans Ford as the car’s primary sponsor, in addition to Costa and AttorneyatLaw.com. The team is headed by legendary ARCA crew chief Bill Kimmel, who won eight consecutive championships in the ARCA Racing Series from 2000 – 2007 as the crew chief for his brother, Frank. Lira faces a challenging schedule in 2014 and will rely heavily on mentor Bill Kimmel for coaching as he travels to some of the country’s most famous speedways. Lira will face a variety of tracks including ARCA short-track staples like the famous Berlin Speedway and Lucas Oil Raceway. Lira began his ARCA Racing Series career in 2013, running four races with Kimmel Racing, but 2014 will be his first real test in the series.ARCA rules dictate that, because he is only 16 years old, he is not eligible to race at tracks that measure more than one mile in length. Once he turns 17, Lira will be authorized to run the intermediate tracks as well, which include tracks up to 1.5 miles long. Only once he turns 18 will series rules permit him to run the full range of larger tracks and superspeedways. Lira will face his first test of the 2014 season March 22, when the ARCA Racing Series presented by Menards heads to Mobile International Speedway in Mobile, Alabama, for the ARCA Mobile 200.For up-to-date information on Michael Lira and the No. 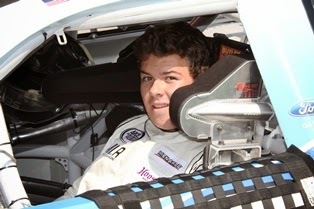 69 Kimmel Racing team, go to www.michaelliraracing.com. Michael Lira Racing is based on Port Orange, Florida, and fields entries in the ARCA Racing Series Presented by Menards in association with Kimmel Racing. Driver Michael Lira is a 16-year-old standout high school student who regularly competes in Late Model racing series events in and around Florida. He made his ARCA debut in 2013 and is scheduled to compete in 14 ARCA races in 2014 with support from Gary Yeoman’s Ford, Costa and Attorneyatlaw.com.